The first legal distillery in Scotland, Ferintosh accounted for two-thirds of the whisky produced in the country by the late 1760s – and the colourful Forbes family was inextricably linked to its rise and fall. Neil Wilson reports. The history of the oldest distillery in Scotland is indelibly linked to one family – Forbes. It was on their estate on the Black Isle, across the Cromarty Firth from Dingwall, that Ferintosh distillery was established in the late 17th century at Ryefield, a few miles east of Conon Bridge. The exact date is unknown, but the large, 6,500-acre estate took advantage of the excise laws in existence at the time of the Glorious Revolution. In those days, excise was ‘farmed’ out to landowners, who collected it as a ‘composition’ on behalf of the Scots Government for a set fee that was usually paid quarterly. The Forbes of Culloden lineage dates back to the 13th century, and they were a long-established family of some means, a cadet branch of the Forbes of Tolquhoun in Aberdeenshire. In 1625, ‘Grey Duncan’ (1572-1654) had bought Culloden from the Laird of Mackintosh and, by 1667, the family extended its estates on the Black Isle by purchasing Ferintosh, supposedly paying 19,500 Scots merks for the barony, and the smaller estate of Bunchrew, to the west of Inverness. Brewing and distilling commenced at Ferintosh soon after this date. The acquisitive Forbes family was not entirely popular with the local established gentry, who viewed them as incomers. Lord Lovat, whose family had been in the Beauly area since the 15th century, caustically remarked that you could not call the Forbes a family, ‘no more than a mushroom of one night’s growth can be called an old oak tree’. Ironically, the Forbes and the Lovats were to form a strong bond in the Jacobite Rebellion of 1715. However, in 1689, a year after the Stuart monarch James II of England and VII of Scotland had fled the British throne, Ferintosh was destroyed by the Jacobite forces, venting their anger against the Cromwell-supporting Forbes family. The damage was immense and, in compensation, the Scots Government granted Duncan Forbes, third Laird of Culloden, an exemption in perpetuity to allow him to distil on the Ferintosh estate free from payment of excise duty, other than an annual fee of 400 Scots merks (about £43 now). Under the old arrangement, he would have handed over £40,000 annually. Accordingly, Ferintosh distillery was rebuilt and, in 1690, became the first legal distillery in Scotland. The ‘privilege’, as it was known, meant that the lands of Ferintosh experienced a large influx of labour to work in the fields, to clear ground and to produce aqua vitae at the distillery. By the time that Roy surveyed the area for his military map in about 1750, there were seven established villages in the area, all largely reliant on the distilling activity in Ferintosh. 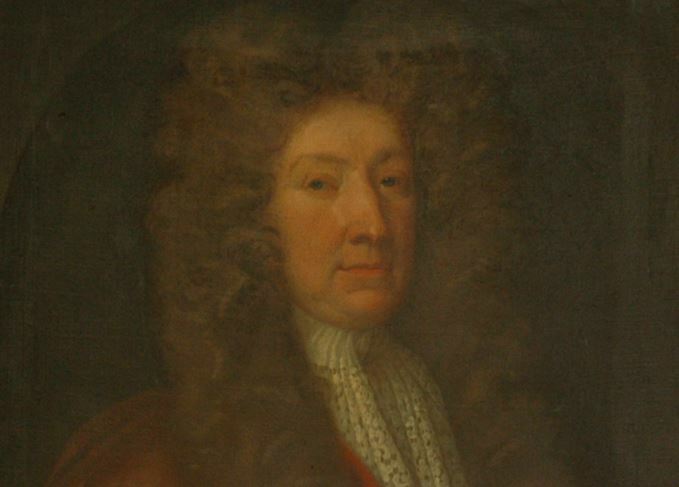 After Duncan Forbes died in 1704, his eldest son John succeeded to the estate, gaining such a formidable reputation as a claret drinker that he was known as ‘Bumper John’. His brother Duncan (born in 1685) carried a similar reputation into his chosen professions of the law and politics, in which he was to excel, rising to the office of Lord Advocate (1725-36), Lord President of the Court of Session (1737-47) and as an MP. On 9 December 1714, he wrote to his brother at Culloden asking for ‘four or five gallons’ of Ferintosh to be sent to Edinburgh to furnish the households of some friends of the family. Clearly a convivial New Year was in the offing. While serving as Lord Advocate, Duncan Forbes was directly involved in the outcome of Malt Riots in Glasgow of 1725, which resulted in Daniel Campbell of Shawfield receiving £6,080 compensation for the sacking of his mansion – a sum he used to secure the purchase of the island of Islay. Duncan Forbes became the fifth Laird of Culloden after John died without issue in 1734, but he struggled to ensure that the family estates were developed, being so often absent on business in Edinburgh and London. Furthermore, his unstinting public service and support, along with that of his brother, for the Hanoverian cause during the Jacobite Rebellions of 1715 and 1745-6 cost the family estates dearly. His son John, succeeding in 1747 upon his father’s death, carried much of this financial burden with him until his own death in 1772. While these generations of Forbes lived and died, Ferintosh’s reputation had spread over the whole of Scotland. The ‘privilege’ had given it a huge commercial advantage over the other available spirits made at the time, allowing it to enter city markets as far away as London, and to establish itself, perhaps, as the first whisky brand asked for by name. Three more distilleries were built in the 1760s by Duncan’s son John, the sixth Laird, at Mulchaich, next to a chambered cairn, and Gallow Hill, both about two miles north-east of Conon Bridge. Part of the structure of what is claimed to be the original Ferintosh distillery can be seen at Ryefield House, while the extensive foundations at Mulchaich are still clearly visible today. By the late 1760s, two-thirds of all the legal whisky produced in Scotland came from the Ferintosh distilleries. In 1763, Ferintosh’s output was 41,200 gallons (187,000 litres), rising to 89,700 gallons (407,000 litres) by 1770, and 123,900 gallons (562,500 litres) by 1780. With that growth, the parish population soared to more than 3,000, with 288 families settled and paying rent of £173-7s-8d per annum, even though two-thirds of the Ferintosh lands were still described as rough ‘muir’. In 1782, Arthur Forbes, the seventh laird, expanded Ferintosh again, but this proved to be the final straw for many competing interests, who lobbied for the scrapping of the ‘privilege’. The Wash Act of 1784 was the start of the unsteady modernisation of excise regulations governing the industry and, soon afterwards, the British Government, yielding to the lobbyists and complainants, withdrew the ‘privelege’ once and for all. On 30 December 1785, the Court of Exchequer at Edinburgh allowed him £21,580 (about £3.3m now). With that, the Forbes’ Ferintosh distilleries ceased to operate and fell into the ground, although small-scale distillation continued in the area, with 29 legal distilleries still operating in the parish in 1791. ‘Thee Ferintosh! O sadly lost! Scotland, lament frae coast to coast! In the race to win over younger consumers, can a spoonful of sugar help the whisky go down? The story of the flawed business genius who transformed the way the world sells liquor. A defining whisky experience led Hills to create the Scotch Malt Whisky Society. The Scottish chemist is believed to be the pioneer of Bourbon’s sour mash process.